I recently spent several hours in Natchitoches, LA (that’s pronounced nak-ə-təsh , by the way — but don’t ask me to explain why) trying to make a badly-planned loading operation end happily. About the only thing that made the whole experience tolerable was the extraordinarily accommodating shipping and receiving staff (a rare happenstance for truck drivers), and I struck-up a conversation with the dispatcher. Now, I’ll tell you that while my limited experience has suggested that Natchitoches is a pleasant, friendly place, to the best of my knowledge it’s noted for little beyond being the site of the filming of the movie Steel Magnolias. And one other sad event. I pointed out to the dispatcher that the small airport nearby was the place where my all-time favorite singer/songwriter had been tragically killed in a plane crash. He smiled and laid it out for me. It seems that Croce had been scheduled to perform there long before that fateful day, but had taken ill and had to postpone several performances — including the Natchitoches show. At the time, he was still “on his way up,” playing mostly in coffeehouses and clubs where (as Croce put it) he had to be adept at quickly getting his guitar strap off when fights broke out, doing relatively small shows — for relatively small money. In this case, he was to be paid the whopping sum of five hundred dollars for his planned appearance in Natchitoches. 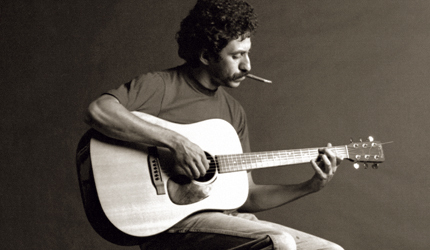 Croce has become an established star, with two successful albums and a recent #1 hit (Bad, Bad Leroy Brown). He’s achieved the commercial success that often eludes recording artists — and he now commands big money for his concerts. As the story goes, his agent reminded him that he’d had to postpone several appearances. Croce informed him that he had every intention of keeping all those commitments, working them into his current tour. When the agent contacted Northwestern State University in Natchitoches, the school reportedly thanked Croce for the gesture, but pointed out that there was no way they’d be able to afford him now that he’d gone from being an up-and-comer to his current status as a big-ticket performer. To Croce, a deal was a deal. The original agreement had called for him to do the show for five hundred dollars; true to his word, he’d therefore do the show for five hundred dollars. The rest of the story…well, you probably already know that. Shortly after the show, Croce’s chartered plane crashed on takeoff; all aboard perished. Now, I can’t vouch for the accuracy of all this; but ya gotta admit that it’s a pretty damn’ good story — and it dovetails nicely with all that I’ve ever heard about the man. It would seem very much like him to keep to his word and do a low-paying show that most artists would’ve conveniently forgotten about. And today marks the anniversary of that sad day: September 20, 1973. 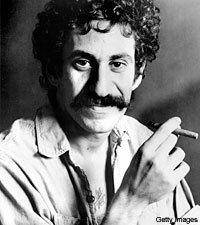 Fate robbed Jim Croce of much of the success that he’d earned. He’d come through the lean years and taken his hard knocks, and was just hitting his stride. And we were robbed of all that he still had left to give. Many of us found within Croce’s lyrics pieces of ourselves…something that each of us could relate to. A former teacher, soldier, truck driver, and blue-collar kinda guy whose strong hands were as at home with a jackhammer as they were with a guitar, he lived quite a life — a life he infused with his music. He wrote of his own experiences and feelings — and they often mirrored our own. He was a working-man’s artist, proof positive that if you kept hammering at something long enough, eventually it’d pay off for you…that if you could weather the storms and the bad times, there was a payoff — and you don’t get the payoff until you do come through those tough times (or — as Croce said in Tomorrow’s Gonna Be A Brighter Day: “Nobody ever had a rainbow, baby, until he had the rain”). We got a good laugh out of his regaling us with a story about a guy who was “meaner than a junkyard dog” — but he also introduced us to “lovers in the lemon-scented rain.” He’d sing the workin’-at-the-car-wash blues, but then touch us with a poignant tune about lazy days in mid-July and walking in the Alabama rain. Down times and good times, he’d known them all — and he could touch that part of us. And as is often the case, his best work was known only to the true aficionado; it wasn’t in the popular tunes that got all the radio play, but in the “filler” songs in which he could pour out his heart. To this day, Jim appears throughout my playlist ; over the years, I’ve listened to those old favorites hundreds (thousands?) of times — and they never get old. and more than a couple of falls. I have run into a couple of walls. Here’s to you, Jim; gone — but never forgotten.